Ya'acov Oryah invited me to a tasting of the Midbar Winery portfolio, and I was delighted, as I love (most of) the white wines he makes, and was eager to taste the reds. 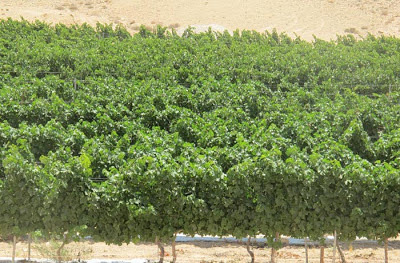 One of the things Ya'acov aims for is that elusive expression of place, which is why I'll specify the origin of the grapes where I managed to write it down in time. 20% new oak, the only white with any oak, hailing from the Judean Hills. Cantaloupe framed by minerals. Taut, yet limpid at the same time, like a village Chablis. Develops slowly while remaining lean and reserved. Lovely as always. From Mitzpe Ramon in the Negev dessert. A somewhat tropical version of the Chardonnay fruit, with a faintly mineral vein. Unformed and kicking, yet tasty. Not exactly my style, but better than I remembered. Same vineyard. Very reserved, yet already showing the mineral aspect of Chenin that, at its best, makes you wonder WTF is this? Clay, maybe, in this case. Turns hot if drunk too quickly. A surprisingly funky nose. Honeyed and full, there is somehow enough substance, flavor and interest on the palate to support it's 14.5% ABV - and I'm not a man who likes Viognier in his glass. The "Gewürztraminer and friends" blend. All in all, right now the Sauvingon Blanc dominates, with its cat's piss thing. As for the rest, there's a hint of rose petals from the Gewurtztraminer, and one of the other grapes offers a mineral note. Incredibly funky and mineral-laden. A brain teaser for the illuminati. Sherry? Nah, I hate it when people think a slightly oxidized white wine is a Jerez knock-off. This is something else altogether, which should prove a nice match for soup on winter evenings. North Negev. A quite nice, very Israeli nose, ripe and spicy, that seems a little one dimensional, setting up a welcome double-take when the palate surprises with its smoothness. Mitzpeh Ramon. Now this is a quintessential Israeli wine. Only without a lot of nasty oak. Balanced, like a heavyweight boxer shifting his weight on his heels. Here, the boxer is relaxing for the final rounds. This is a Bordeaux blend, primarily Merlot, but you would never mistake or for a gentleman's claret. It's earthy and masculine, but not so much that it would overpower a hearty dish. I bought a couple of bottles after the tasting and plan to re-visit at my leisure at home. While I liked the red wines, it's obvious the white wines are where Ya'acov's heart, and, for the moment, his skill set, lie. 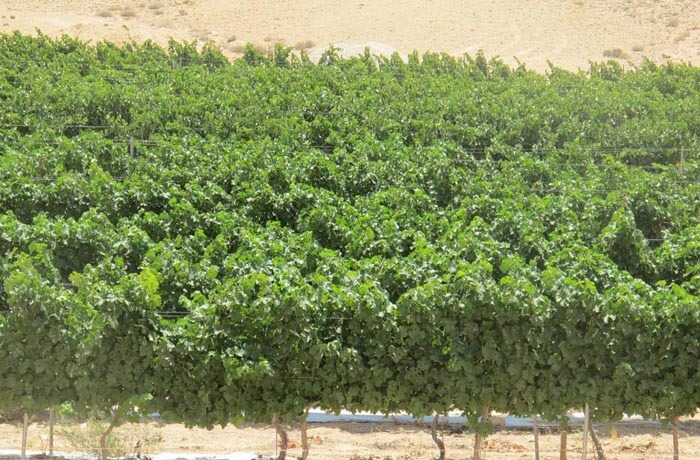 His Semillon based wines are among the most unique in Israel, as is his Chenin Blanc. And hey, the guy makes a Viognier even I find interesting, which is really saying something.